This is a lovely narrow solid oak bookcase, from approximately 1920. We have used Annie Sloan paint in Old violet to jazz it up from its original dark brown. we have then sanded the piece, waxed it and buffed to give a soft sheen. 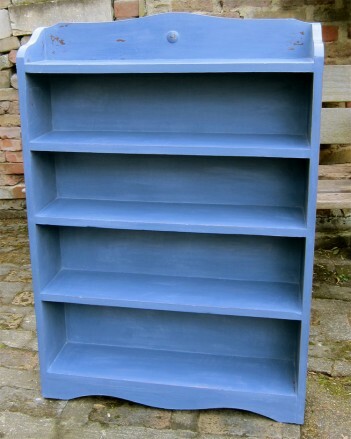 This would be a great little bookcase in a child's bedroom and its proportions are perfect for awkward little spaces. The colour of the case in the photos is more bright than in real life.